Matt Cheney, Estates Health and Safety Officer. 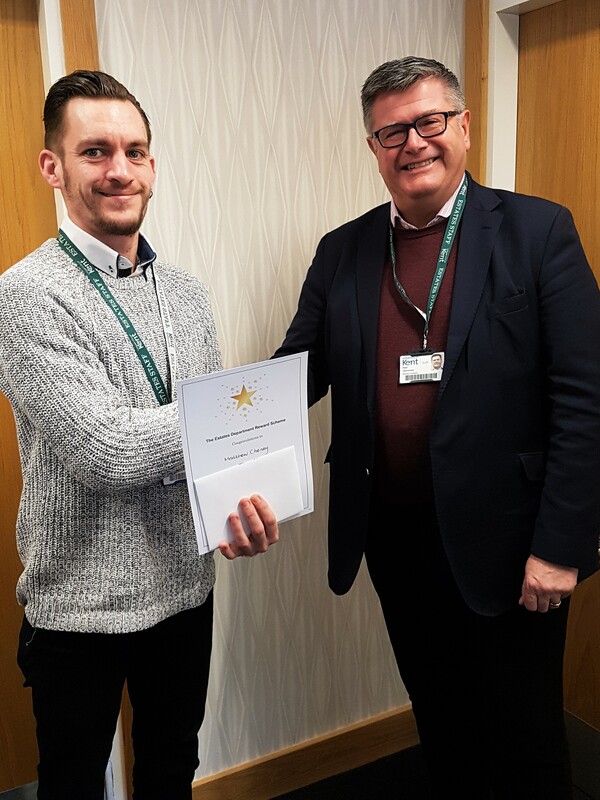 Ron Moore, Assistant Director of Estates, Maintenance and Technical Services nominated Matt, for the Asbestos Testing Kit initiative recently introduced to Estates. The use of the kits has resulted in a significant cost saving and improvement in time response, reducing delays in work. In awarding the Staff Excellence Award the Senior Management Team, acknowledge the impact made to both the Estates Department and the University.